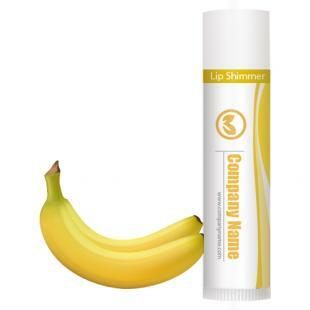 Customized banana lip shimmer w/white tube cap is largely known for its lip plumping actions. 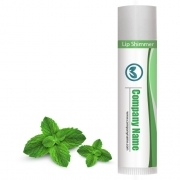 This lip balm eases over dry, parched and impaired lips and offers soothing-shiny relief. 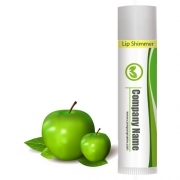 This lip balm is often employed as a cosmetic choice because it is soft and shiny and offers slight shimmer to lips. It tickles brain into thinking that a person is having fresh and ripe bananas. Health Quotient – PABA Free. Only FDA approved moisturizing ingredients involved in formulation. Cruelty- free. 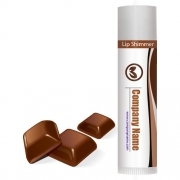 No harsh colors, flavors, perfumes or shimmer triggering ingredients involved in formulation. 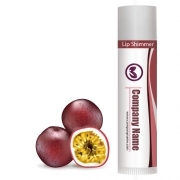 Directions – Rub this banana lip balm regularly over bare lips to get perfect looking lips. 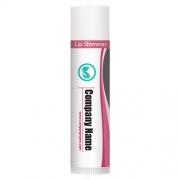 Avoid using it as a moisturizer over face because it shimmer formulate may be allergic for some people . Gifting Favors – Customized banana lip shimmer with white tube cap makes a great gifting choice in any season because it cosmetically enhances the lip texture and boosts the confidence of a person wearing it.